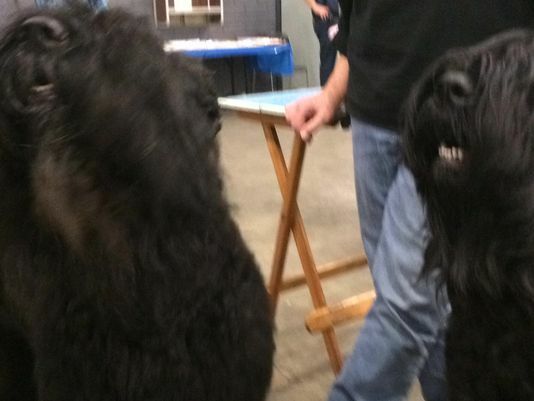 Zilya and Danica, both large, furry black dogs owned by Donna Patterson of Wiggins, were just two of the smiling faces to be found over the weekend at the Magnolia Classic Dog Show. 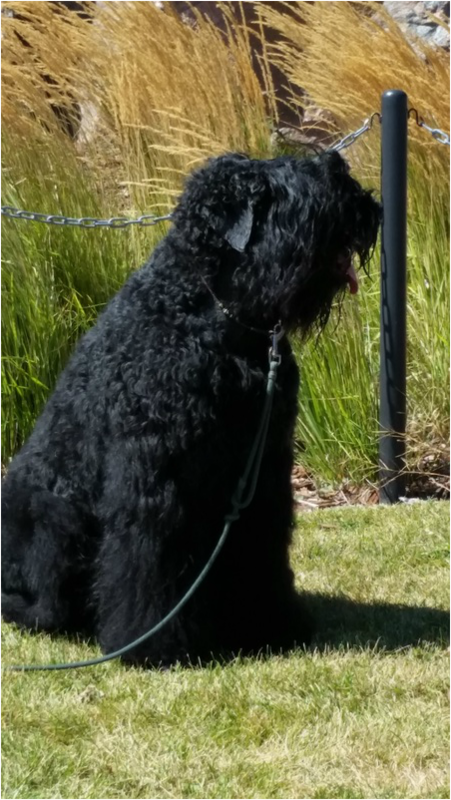 Their names belie their size, as Zilya and Danica are Black Russian Terriers, but they're as tall as Greyhounds or Great Danes. 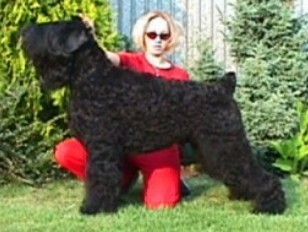 Patterson said she fell in love with the breed when she attended a dog show in 2004. She wasn't looking for Russian Terriers, she said. 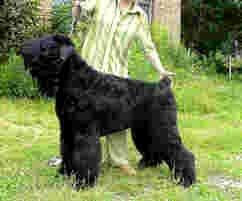 "I went to look at the Irish wolfhounds. 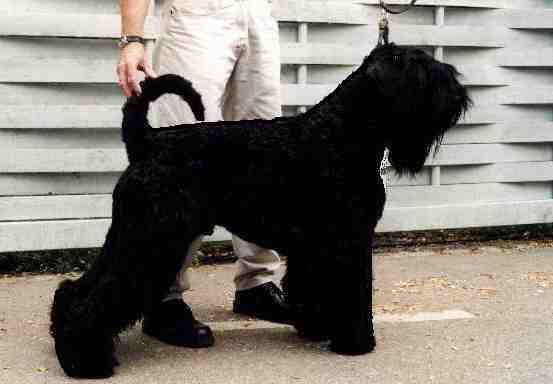 I saw one of these guys on the table before the show, and I never made it to the wolfhounds," she said. Zilya is a champion show dog, having won Best of Breed at the Black Russian Terrier Nationals, the Eukaneuba National Championship, and the Westminster Kennel Club, among other awards. 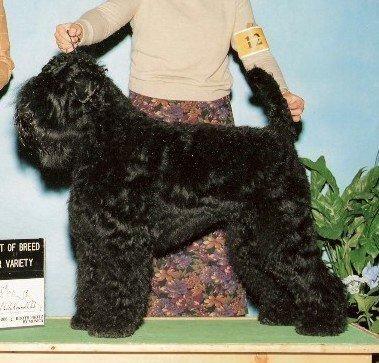 He has received major placement at every major show he has competed in, and is the top winning Black Russian Terrier in breed history. 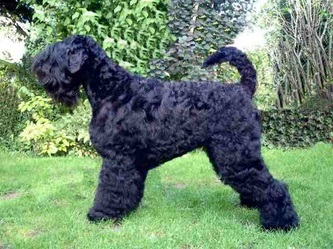 "They were bred by the soviet army as guard dogs," Patterson said. 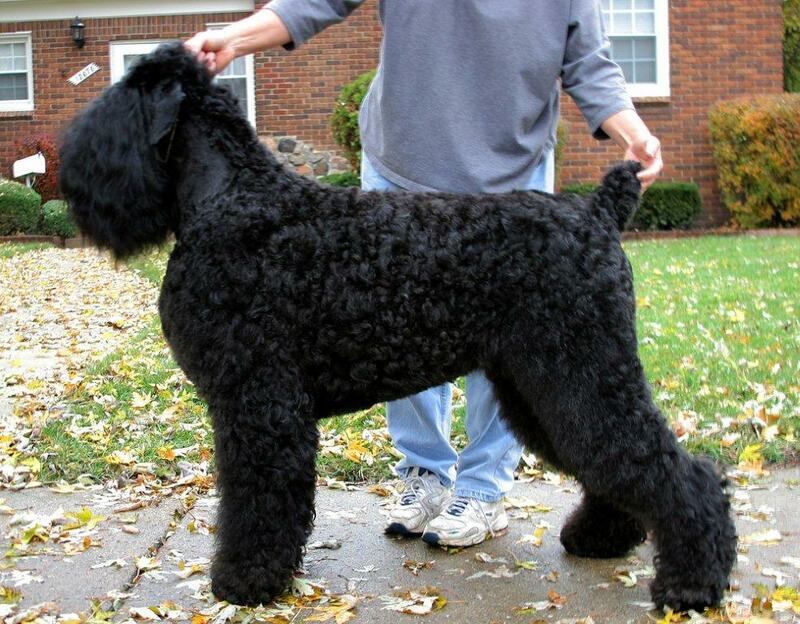 "We have very nice temperaments on these two, but they would still protect us." August 2013. Zil and Dani playing in the backyard. Dani is the one bouncing around like a top!